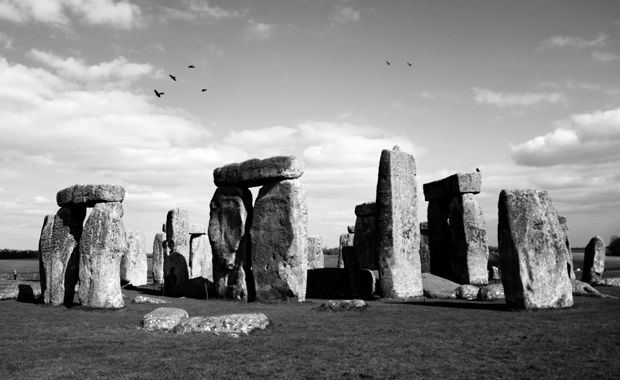 Last week, I went on an adventure to visit Stonehenge and Salisbury. Stonehenge is a prehistoric monument in Wiltshire, England. One of the most famous sites in the world, Stonehenge is the remains of a ring of standing stones set within earthworks. It is in the middle of the most dense complex of Neolithic and Bronze Agemonuments in England, including several hundred burial mounds. Stonehenge is definitely worthwhile to see once in a lifetime. I was a little disappointed that the public were restricted by the pathway as I was expecting to be able to prance around the stones like a witch around a cauldron. You are essentially just circling around a pile of rocks and although the history is interesting, I wouldn’t go back again. Nevertheless, if you haven’t seen it; go see it to say that you have! A flock of crows (or the technical term, as I’ve just found out: a murder of crows) kept circling and sitting on the monument, reminiscent of scenes from Alfred Hitchcock’s The Birds. During the weekend, I also stayed in Salisbury, where I explored the town and Salisbury Cathedral. I endeavour to create a blog post with my photographs from there within the week!